When my Pre-Calculus teacher joked that the school year ends in March because testing begins, I could not help but realize the truth of the statement. After March, teaching slows and test preparation hits the ground running. Teachers frantically remind students of test-taking strategies, how to use a formula chart and how not to bubble-in a Scantron. By the time I graduate high school, I will have taken 37 AP and TAKS exams, not including final exams in my classes and SAT/ACT tests. 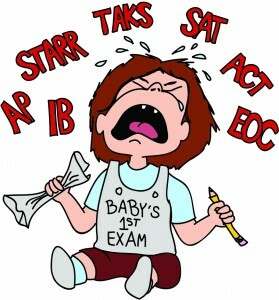 By the time school lets out for the summer, CHS alone will have administering STAAR to freshmen and sophomores, TAKS to Juniors and a plethora of AP and IB and EOC exams. Does this seem extreme? It should. There is no doubt in my mind that we need standardized testing. Without it, evaluating our national education system would be an unimaginable task. But why are we being tested so much? Ever since President George W. Bush passed the No Child Left Behind (NCLB) act in 2002, every state has been required to administer tests to ensure that their schools are up to standard. By basing the amount of funding a school receives on their standardized testing performance, school boards across the nation put extreme pressure on teachers to prepare students for these tests. ntent of what was on the TAKS test. As a result of the Scantron hysteria, teachers have been too concerned with their test scores and not concerned enough with their students’ knowledge. The intent was that higher test scores meant smarter students – but, unfortunately, this is an idea and not a reality. Under NCLB, schools were warned that unless their students demonstrated a 100 percent proficiency rate in math and reading, they risked budget cuts and even closure. According to www.stateline.org, state spending on testing after NCLB rose by 160 percent in comparison to spending before the act. This is draining funding from things that actually benefit students – like music education. Our government cannot seem to find the right balance between measuring progress and bombarding students with Scantron forms and number two pencils. Standardized testing in Texas alone has become a compilation of acronyms and initialisms, all claiming to be the most valid measure of achievement. 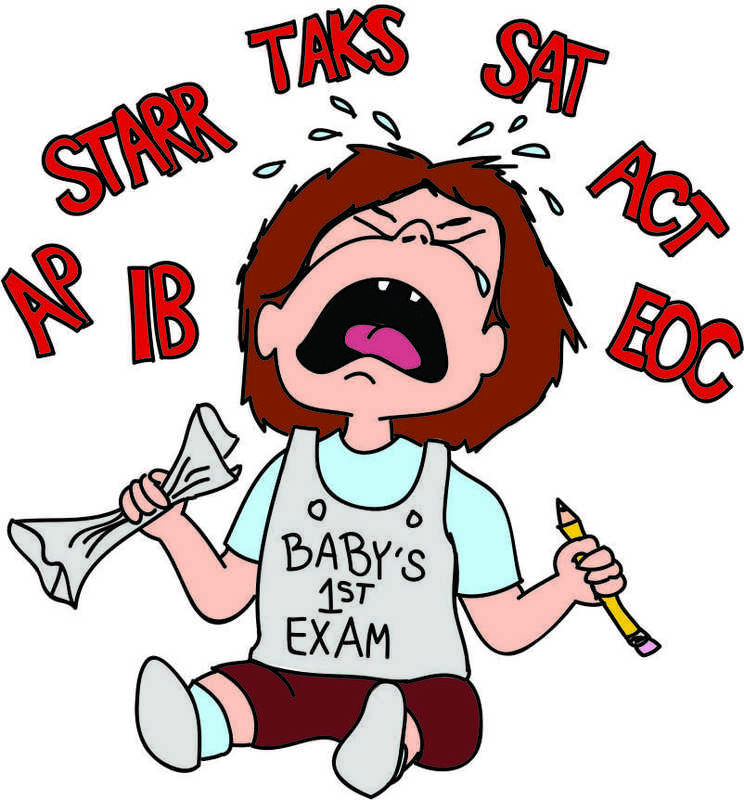 STAAR, TAKS, AP, COGAT and EOC are just a few of the tests students are given. By taking college-level classes in high school, students are given the opportunity to become better prepared for their futures. AP tests prove necessary to grant appropriate credit. But if a student demonstrates proficiency on a college-level test, why beat them over the head in making them take trivial on-level tests? The paradox becomes evident when you realize that your “top-tier” students take the most tests. Why prove proficiency repeatedly? What I am calling for is fair testing. If a student demonstrates proficiency on the APs, do not force them to prove they are proficient on the STAAR or EOC or any other tests. When schools over-emphasize tests, it hampers the learning process and teaches students that numbers on a score sheet – no matter how they are obtained – are more important than understanding of the concepts. From the government’s perspective, our nation needs standardized ways to ensure that our education system is effective. Standardized tests do just that, but we do not need nearly as many as we are given. Standardized tests should measure knowledge, not dictate it. Should courses have end of course exams? Yes. Should they have three? No.